Here we go with another offering from 3 Floyds Brewing! 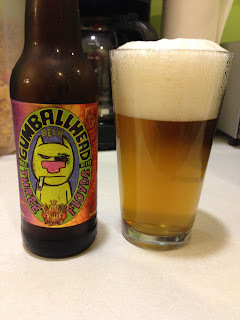 This is the much sought-after Gumballhead Wheat. This is not your typical wheat. With its amarillo-esque profile, this beer stands out in a room full of fruity or super mild wheats! Appearance: Pale golden color, pale head that persists, great lacing as it dissipates. Taste: Hops on the front end, big time, considering it is a wheat. That is evident in the mouthfeel which sticks to your pallet like glue. Good malt finish to prove once and for all that this is truly a wheat ale. BA gave it a 94, I concur. On our trip to Seattle and the Pacific Northwest last summer I picked up several bombers from local brewers around the area. I picked up this little gem at the brewery in Seattle. Appearance: Pours well out of the 22 oz bomber. Deep gold, slightly hazy, expected more haze. Pale head that quickly disappeared. Nose: Strong floral notes, but not overly strong. Clearly a belgian yeast. Citrusy. 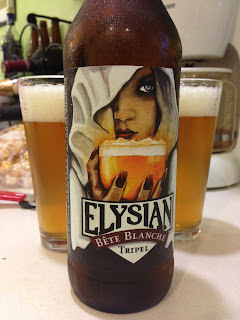 Taste: Light on the body for a tripel. Was expecting a little more, but with the low ABV I guess that makes sense. Low hop presence, just enough to cut the sweetness. Esthers and citrus notes evident, but not overpowering. For the money, this beer is a definite must try. I would say as far as tripel's go, it is a little lackluster, but still a solid overall beer and a good drink. It got an 81 on BA; I would give it an 87. I live in Indiana so I am no stranger to 3 Floyds Brewing, but I had never had this before as it was a collaberation with Mikkeller. Appearance: Deep golden, hazy, bright white head that dissipates quickly but leaves good lacing. Very much like a belgian golden strong. 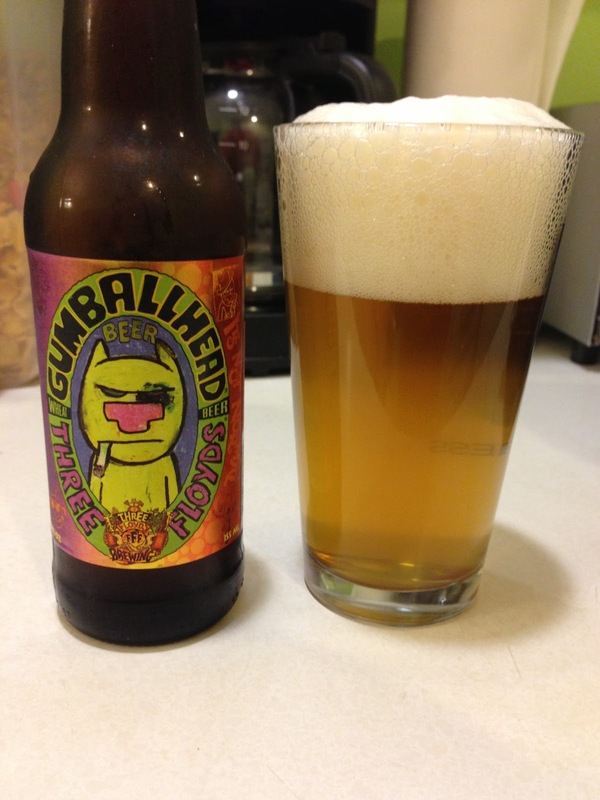 Nose: Fruity, strong hop presence, alcohol very prevalent. Taste: Clean, crisp (deceivingly so compared to the smell), strong hop presence, good carbination. 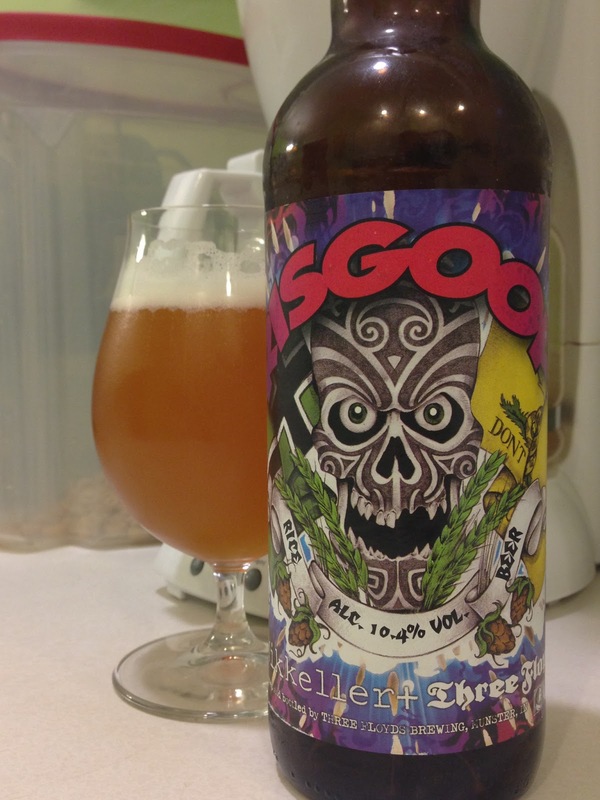 Overall: Although I thoroughly enjoyed this offering from 3 Floyds, I am not so sure it was worth what I paid. I would give this a 95 on BA because it is still outstanding! As I have mentioned, this past summer has been an eventful one. In June of 2012 my wife and I visited Seattle and were able to rent a car so we ventured out of the city and down the coast to Oregon where we found probably the coolest thing a beer lover could find, a hop farm. Rogue Brewing has a hop, hazelnut, honey, and pumpkin farm. They grow 42 acres of proprietary strains of hops with names like Revolution, Dare, and Risk. They have released a line of GYO (Grow Your Own) beers that have been wildly successful on a national scale. Be sure to check it out if you are ever in Oregon. It is worth the trip.